Welcome to the first instalment of En Bref, a new series we’re launching especially for Le Blog, featuring mini bookish interviews with authors we love—and have managed to persuade to answer our questions! Up first we have Alex Christofi, brilliant debut novelist and recent Shakespeare and Company Tumbleweed; a winning combination! George Orwell. His books have such a sense of purpose and he refuses to hide behind style—something you only have the confidence to do if you are a true craftsman. What is your favourite comfort read? The Master and Margarita by Mikhail Bulgakov. Underlying its funny, bonkers plot there’s something intensely melancholy: at its heart are characters with a simple desire to be loved and understood in a world of malevolent bureaucracy. Which is pretty much how I feel when queueing at the bank. What is next on your to read pile? I have about ten half-read books to finish first! After How to be Both by Ali Smith and The Corrections by Jonathan Franzen, I’m going to read The Nearest Thing to Life by James Wood, My Brilliant Friend by Elena Ferrante, and The Honours by Tim Clare. 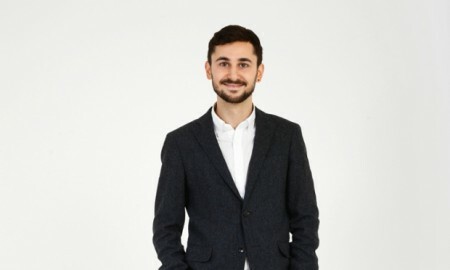 Alex Christofi was born and grew up in Dorset. After reading English at the University of Oxford, he moved to London to work in publishing. He has written a number of short pieces for theatre, and blogs about arts and culture for Prospect magazine. 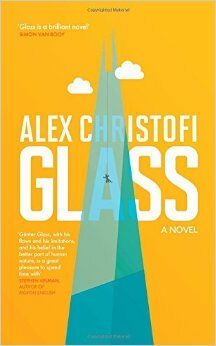 His first novel, Glass, has been longlisted for the Desmond Elliott Prize. Laura Keeling is Events and Communications Manager at Shakespeare and Company.